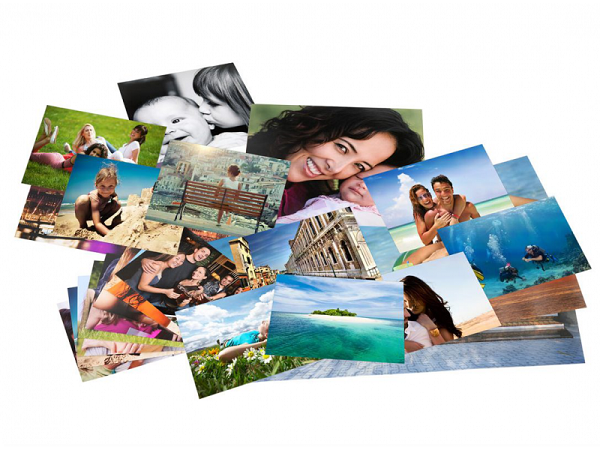 Images play a leading role on any website. Therefore, their choice is an important and demanding task. Illustrations (as well as design) is the “face” of the site, which can be as pleasant to the client as it does not like – or not cause any emotion at all. How to choose such images so that they work for you as much as possible, and not against you? Ask yourself, what kind of picture are you looking for, what should it illustrate, what emotions should it evoke? If this is an announcement of the article, then the goal is to force the user to open and read the entire article, that is, the picture should be intriguing. If selling lending – then the picture should encourage buying (and therefore, cause some positive emotions). Your goal is to sell the goods. If you need an image for the background of the site, look at calm, one-color options that will not distract the incoming people from basic information. It is at this stage that many make the main mistake – instead of adding information to the page, the image simply repeats it. This idea partially overlaps with the first advice – think about how the image can help you reach your goal, and not that “the designer said that you need to insert two pictures here.” Do not use images where they are not needed – this will only distract potential customers. And – on the contrary – if you have a cool picture, sometimes you do not need to write anything else, or somehow supplement it (examples can often be found in Instagram). It is much easier to show one or two quality photos of a product than to try to describe it in several sentences. Let’s be honest – the network is now full of all kinds of images, visitors’ attention is difficult to attract and even more difficult to retain. Therefore, choose what is not on other sites, what will set you apart from the rest of the gray crowd. Stock photos, on which the same thing is imprinted in the same places and in the same forms, are already nagging. Look, look and again look for – do not miss a more or less suitable picture on the first page of the issue. Ways to achieve this: an unusual picture – or its cropping (cutting out a certain part) – or the original processing (color correction, adding elements, etc.). One of the most obvious solutions to the problem described in the previous paragraph. A beautiful photo of your own authorship is, first, the rapprochement of you with your customers. It’s one thing – pictures purchased in stock, and quite another – a photo that was made especially for you, my dear visitor to my portal. Secondly, this rapprochement causes trust: you sell exactly what is shown on your website. By the way, some companies are going the same way, posting real photographs of their employees (and not these made-as-a-smiling European faces). Photos with people are dangerous because often the emotions that they need to evoke are falsified. Surely you yourself noticed all these successful specialists in strict suits, happy plumbers, cheerful fitness ladies, etc. Russian realities (and just real life) are different from what is usually depicted in these photographs – and people immediately feel this discrepancy. Therefore, in a situation with photos of people – as well as in general – it is better to choose atypical images. For example, those that are removed from unusual angles. Also popular are photos taken from the first person, as they look dynamic and original. The most honest seem to be slightly imperfect photos with people – such photos and cause positive emotions. Provocation can be an effective way to attract attention to a particular product or article on your site. And you need to choose not just an atypical photo – but bright, catchy, contrasting, modern and out of the ordinary! It must be something for which the eye will surely catch on and will long be considered. However, do not forget to track goals and feedback from your visitors (or customers) – it’s easy to over-bend a stick and instead of an interesting image choose a frightening or evincing dislike. In general I will give this advice: if you do not know whether it’s beautiful or ugly, interesting or unpleasant, then conduct a mini-survey among your friends-acquaintances-colleagues (or even better, among your target audience) in order to make sure that The image will cause exactly that emotion and the interest that you are counting on. There’s even nothing to add here – your images should be clear, with high resolution and professional processing. The image you selected from the very beginning should be large – do not try to stretch a small picture to the size you need. Do not try to make a clearer picture, which is much blurred. Do not try to even out the tone of the picture if you see that it is too dark (and marred). Where to search for pictures? There are paid and free stock images. And there’s always Google (which can also send you to one of the drains). Here only a few are mentioned. I found a picture, what next? Optimize the image. Namely: reduce its size and weight, so that the picture (and the page itself) is loaded faster. Use different sizes for different devices. If your site can be viewed on various devices, from a computer to a mobile phone, then it makes sense to make multiple images with different sizes in order for each device to display a suitable adapted image. Describe the alt attribute of all images. This optimization will help you get additional traffic from search engines. Describe the title attribute of all images. The tooltip will pop up when you hover over the image. Trifle, but nice. Good illustrations for the site – is thoughtfully selected images that are original, interesting and generally attract attention (but not distract him from the main). These are necessarily high-quality, but at the same time optimized photos or drawings, which should either be searched on the sink, or created independently. By the way, it’s a good idea to order images from professionals – designers or photographers.